There is excitement and there is excitement, and walking into the Domäne Dahlem Christmas market was most firmly the latter. 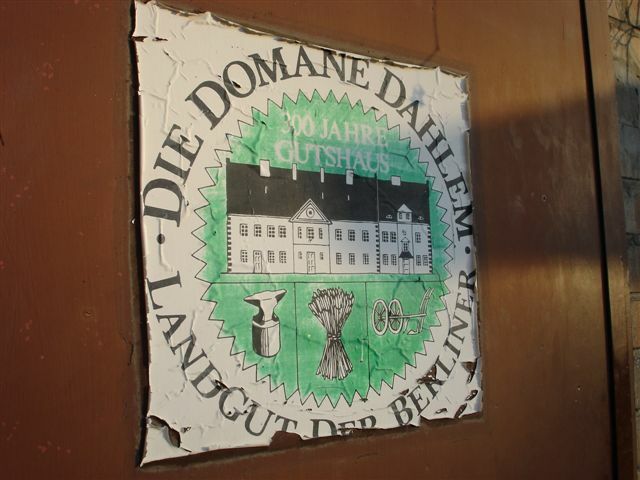 Easily the best of the four Christmas markets I visited last weekend, the treasures of Domäne Dahlem resist summary, but let me count my non-food favourites. 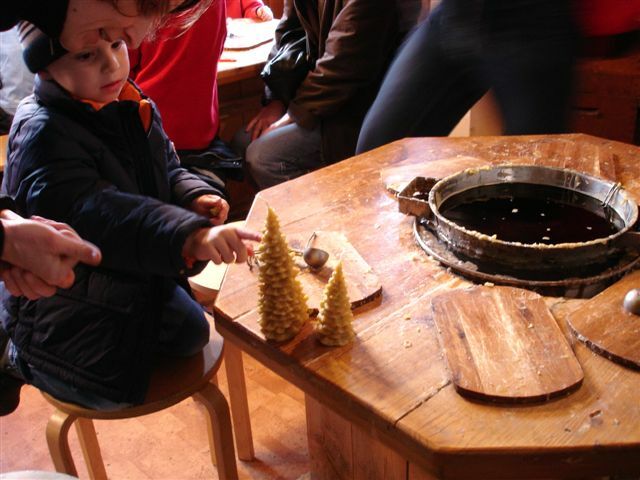 1) Where else can you find a working apiary that offers candle-making during advent, complete with nifty wooden tables inset with deep tubs of hot wax? 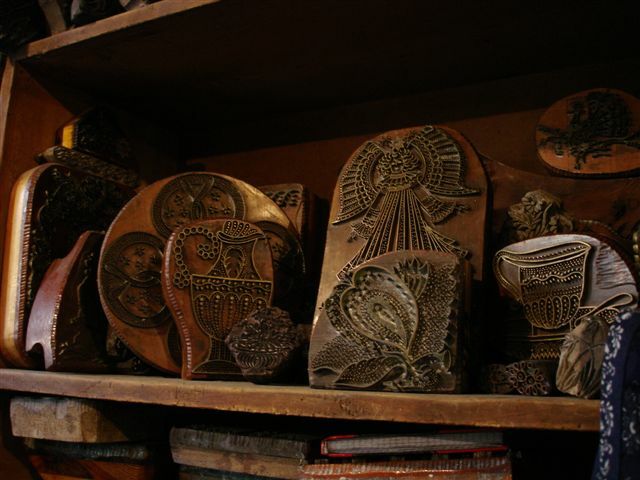 Much less adorable children busily fashioning conifers, snow people, stars and other figures? 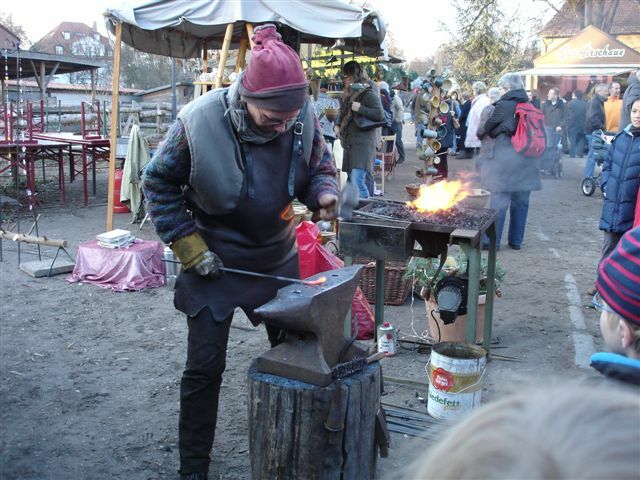 2) Or a female blacksmith forging lengths of iron into Christmas decorations? 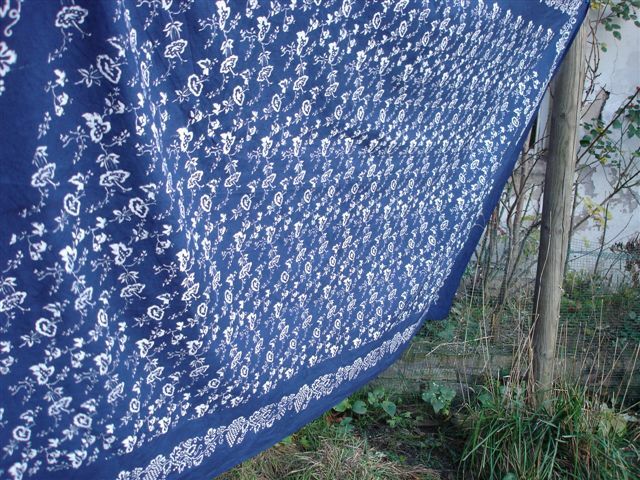 3) Or an indigo dyeing workshop, run by the same family for generations, complete with dye stamps? 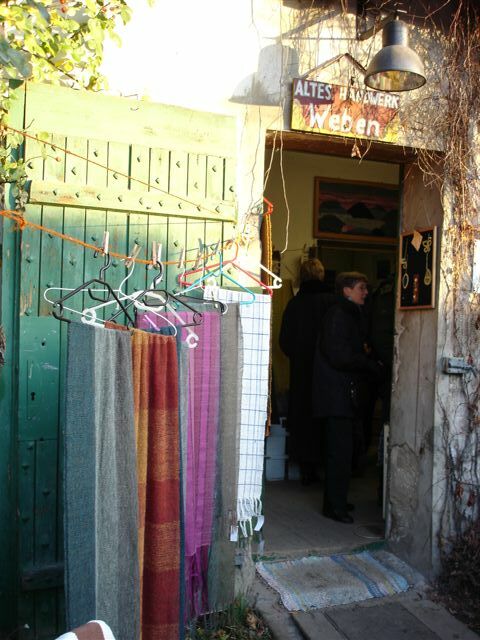 4) Or a weaving workshop, full of colourful handmade fabrics from local wools and other fibres? 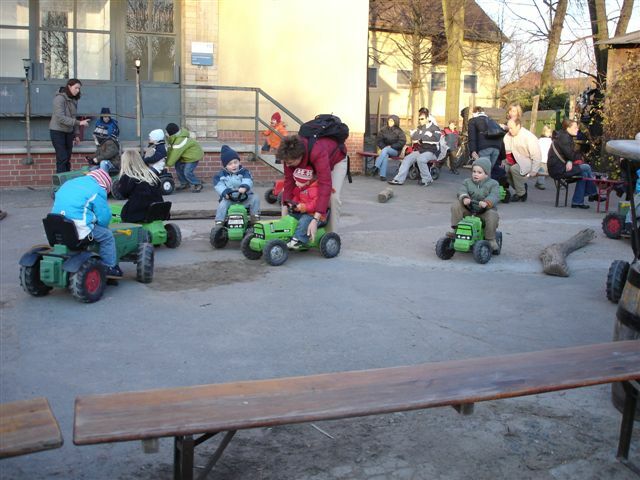 5) Or an old-fashioned take on bumper cars, with the vehicles powered by muscles rather than creaking fairground motors? Stay tuned tomorrow for edible highlights – and I encourage anyone in or near Berlin to ink a visit to the market into their advent calendar. I really enjoyed this post. What a find, the Domane Dahlem Adventsmarket. Thanks for posting this!